After his training, Tanzer’s rise to success was nothing if not dramatic. 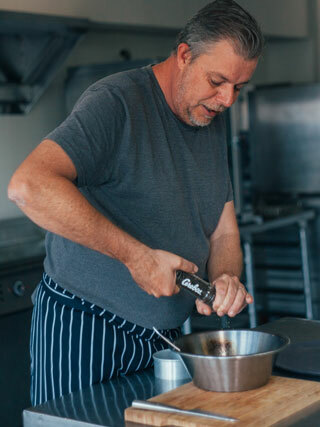 Within a few years of working as a chef in Europe, he landed a gig as Michael Douglas’s personal chef – and back in South Africa cooking for Douglas whilst he was shooting a movie. 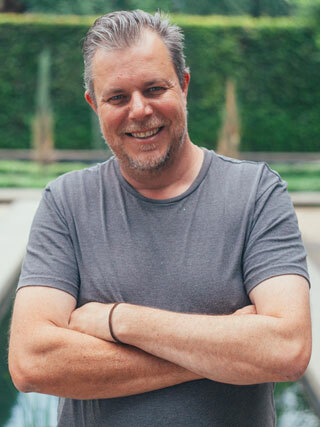 On the back of his trip, Tanzer decided to stay in South Africa and joined Londolozi as Executive Chef for 14 lodges across Africa. “Salt is both the beginning and the end of every meal preparation,” says Tanzer. 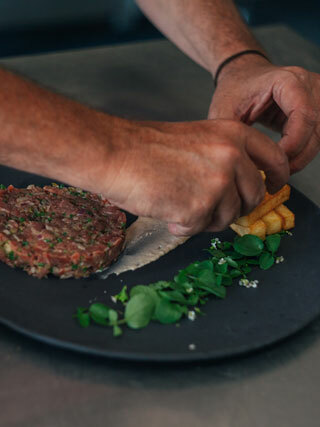 “It adds a base of flavour, and is the final finishing touch to a spectacular meal.” Tanzer was challenged to create a dish inspired by the 1960s, and the retro restaurant trends of the era were the starting points for his dish development. 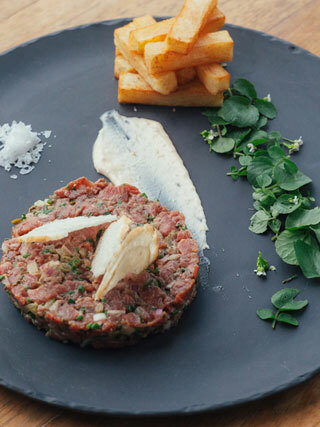 Seasoning is as much about eating with the eyes, as with the mouth, says Tanzer – visual seasoning is a huge part of his plating technique. 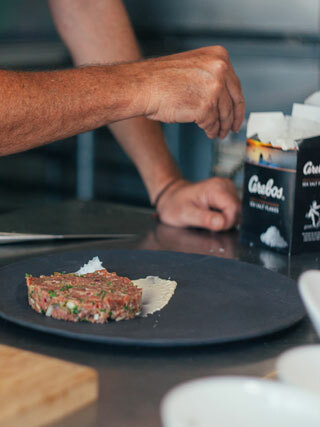 Tanzer also believes salt is crucial in the preparation and curing of fish, as it intensifies the flavour. 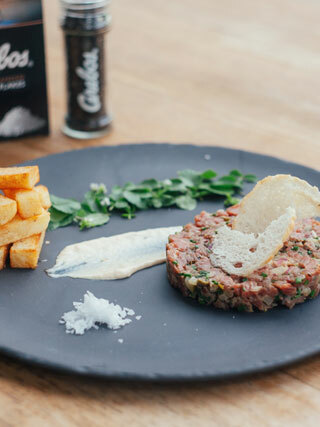 He experiments often with flavoured seasonings, like lemon-infused salt, which he used as a base flavour for his steak tartare. Mix all ingredients together and season with salt. Peel Potatoes and cut into 18mm slices. Reserve in cold water to ensure that they don’t go brown. Heat oil in a deep fryer or large, deep saucepan to 130°C. Working in small batches, carefully lower the fries into the hot oil. Fry for about 8 minutes, or until the surface begins to feel dry and firm to the touch. Remove fries from oil, and lay them out on a wire rack to cool and dry. Place cooled fries in the freezer. Fry for about 3 minutes, or until the surface appears golden brown. Drain fries on paper towel to remove excess oil. Season fries with Cerebos Braai Salt to taste. Trim beef of all sinew and fat. Place in the freezer to firm slightly. 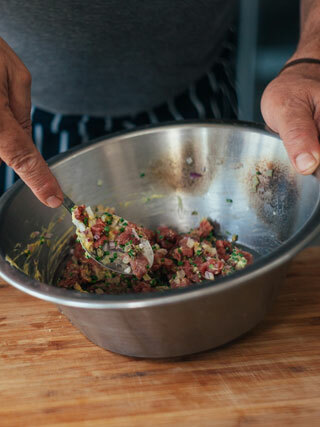 Finely mince the anchovies (if desired) and then add to the beef with the Dijon Mustard. Roughly chop the capers, scatter in the red onion and chives. Toss in the egg yolk and season with a liberal amount of Cerebos Black Pepper. Check the seasoning to taste, then squeeze over some lemon juice to balance the flavours. Serve with Cerebos Sea Salt Flakes on the side.